BULGARIA / PLOVDIV / CENTER DIST. Video surveillance of entry/ exit areas. For each office is the most important location, spacious and bright space, convenient parking and cozy work environment. All these requirements are combined in the newly-built office building in the center of Plovdiv, which is located in close proximity to two of the main boulevards in the city. The glass hung facade will contribute to the maximum illumination of the workplaces, and in addition the workers will have a wonderful view of the Old Town. The access to the office space is solved with a modern high-speed elevator, which is in line with the number of people who will work in the building. On the ground floor there is a large spacious shop, 4 office floors and underground parking. The office building is located on one of the key boulevards in the central part of the city of Plovdiv - only 140 m. Away from the central city artery - Tsar Boris III-th Obedinitel Blvd. 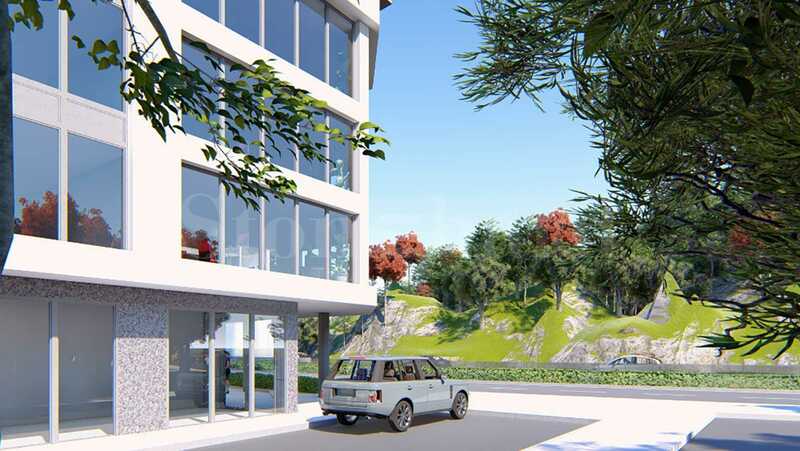 This location provides easy and quick access to other parts of the city, Trakia Highway and Plovdiv Airport. All combined with the unobstructed view of Nebet Tepe. • 140 m away from the central city artery - Tsar Boris III-th Obedinitel Blvd. offers a selection of high-end offices and shops with underground parking. The project combines all the requirements for a modern office building - a communicative location, spacious office premises, high quality performance, irreplaceable views of the Old Town. • The business building consists of 6 levels including one ground floor and 4 office levels and underground parking. • The access to the office areas is ensured by a high-speed elevator, in keeping with the capacity of the building. 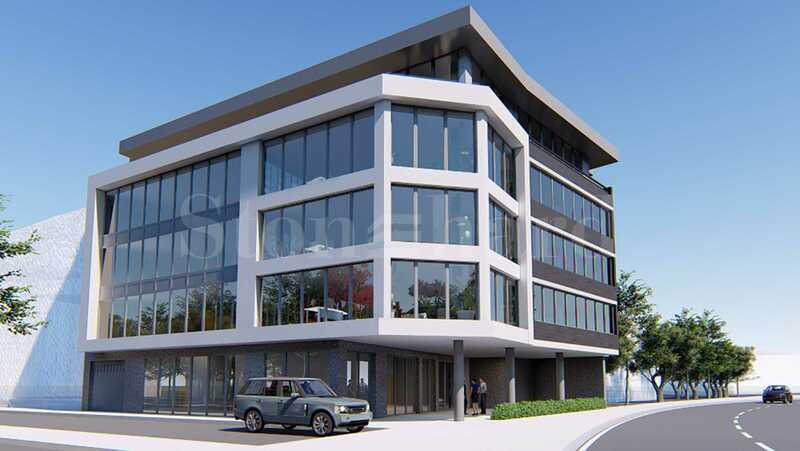 • The project provides a flat roof, the last office level has picturesque spacious terraces. includes a clear vision with a predominant glass suspended fa?ade that provides maximum illumination of office spaces. For the realization of the project, investors rely on high-quality materials from proven manufacturers. Given the central location, parking is decided with underground parking. CCTV will be built on the entrance / exit zones to the office areas and underground parking. The building attracts with a modern and dynamic architectural vision and excellent location.